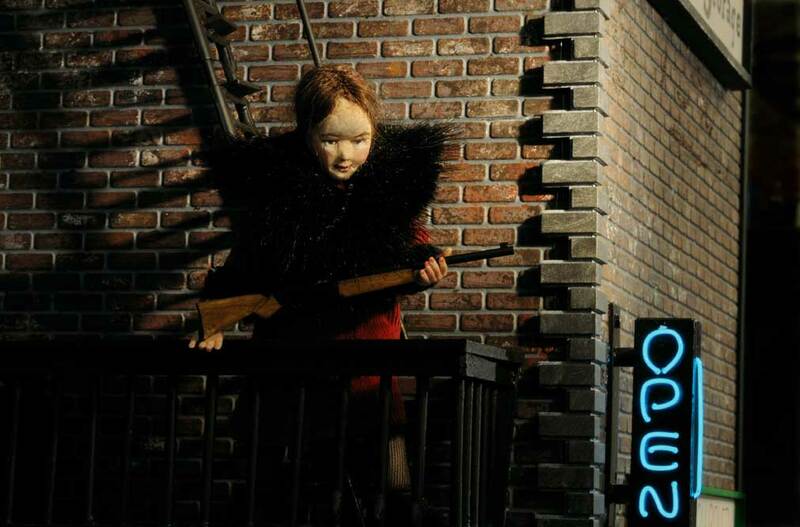 A biographical tale of murder, mafia, and intrigue in NYC told with handmade dolls and sets, in conjunction with an immersive play. 316 backers pledged $16,811 to help bring this project to life. 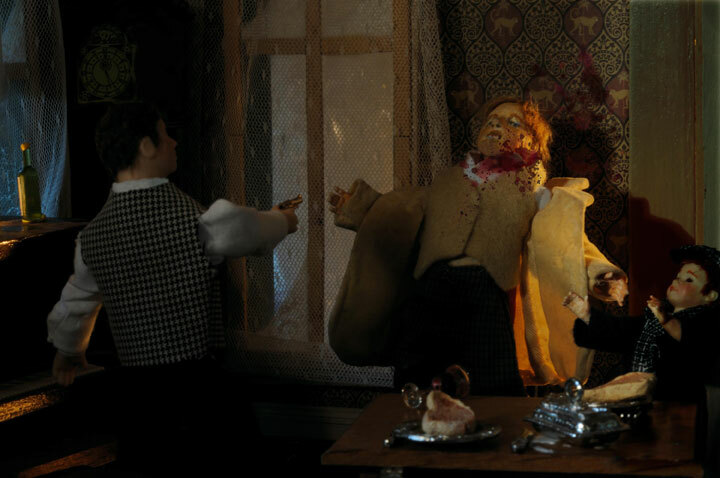 Cynthia von Buhler's (née Carrozza) SPEAKEASY DOLLHOUSE is a biographical tale of murder, mafia, and intrigue in New York City told with handmade dolls and sets, in conjunction with an immersive play. Questions? Please see the FAQ below. My grandparents married in Italy and came to this country during the roaring twenties. An illegitimate child by a mistress on my great grandfather’s side made my grandmother a descendant of an infamous royal clan: the Sforzas. Grandpa was a Pyrotechnica, Italian for fireworks display expert. Ambitious and strong-willed even for their famously lively era, this fearless couple opened two speakeasies in the Bronx. One masqueraded as a bakery, and the other was a secret nightclub. 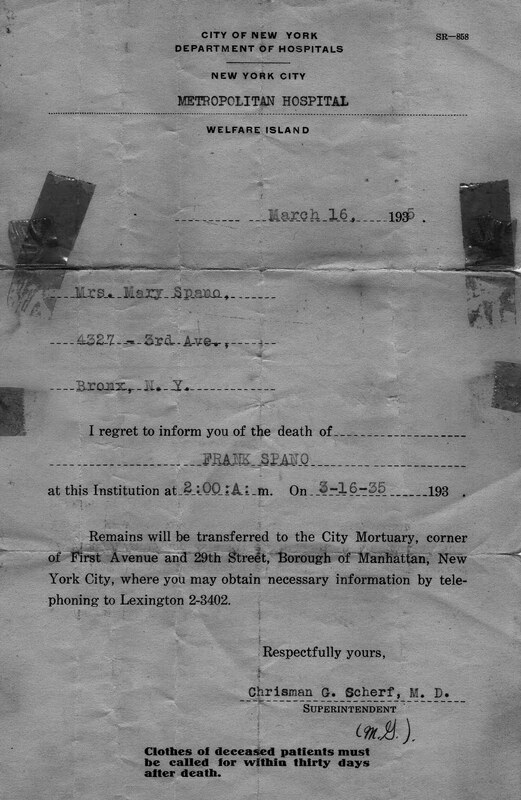 Shortly after Prohibition ended, my grandfather was shot and killed on the street in Manhattan. My grandmother was pregnant with my mother at the time, and upon hearing the news of her husband’s murder, she went into a coma. When her husband’s coffin was dropped on the way up the narrow stairs of their apartment building, my grandmother woke up-- and went into labor. On the same day, my mother was born in one room of the small Bronx apartment while her father’s body was laid out in a coffin in another. Nobody still living in my family knows why my grandfather was shot. Nothing was known about the killer, his motive, or a trial. My grandmother took these secrets to her grave. And so, over the past year, I have been dusting off a complicated tale of bootlegging, mafia, infidelity, and murder set in Prohibition-era New York City. Frances Glessner Lee established the Department of Legal Medicine at Harvard in 1936. At the time, innumerable murders went undetected because evidence was mishandled or ignored. 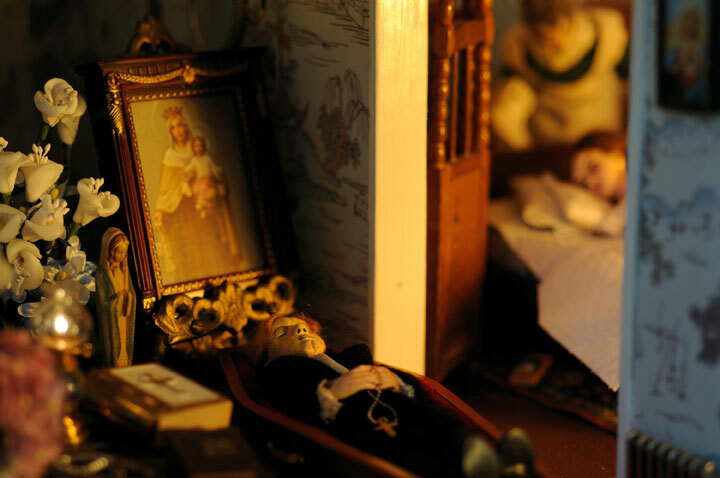 To train investigators of sudden or violent deaths (like the death of my grandfather) and to better assess visual evidence, Lee created the Nutshell Studies--dollhouses that students could examine from every angle. Lee created 18 dioramas complete with minute and authentic crime scene details, using only the most mysterious of actual cases (instances that were ruled as accidents, murders, or suicides) to challenge detectives and strengthen their ability to read evidence. Inspired by Lee’s miniature crime scene sets, I have decided to create the scenes from my family mystery using my own handmade sets and dolls. Utilizing evidence from autopsy reports, police records, court documents, and interviews, I have built a dollhouse-sized speakeasy, a hospital room, a child’s bedroom, and a pre-war apartment. I also have begun the process of creating lifelike dolls with moveable limbs to live in these sets. I have been photographing the sets and dolls in order to create a book (with the help of my designer, Brian Azer.) The first half of my story is completely written and needs to be photographed and printed into part one of the two-part series. The Play – Choice of October 17, 2011 or October 24, 2011, 8pm – midnight (at a secret downtown Manhattan location.). I have also been inspired by Punch Drunk’s immersive theater production of Sleep No More in New York City. Moving forward with this inspiration, I will present an immersive environment where my story will be told by actors. 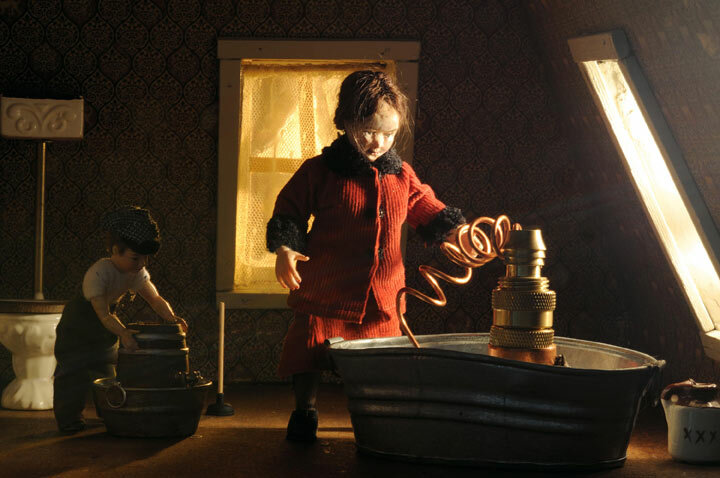 The immersive environment will mirror the dollhouse sets from the book, including a speakeasy, a bakery, a morgue, a street scene, and a pre-war apartment. In the investigation of my family’s story I have uncovered many details, but each time I uncover something, another shroud of mystery is revealed. By adding actual human recreations of the characters and placing them in an interactive theater setting, I plan to take Lee’s method of dollhouse crime scene investigation one step further. Each main part of the story will be recreated and repeated by the actors on a loop throughout the night with slightly different details and outcomes each time. I will be observing the human interactions for possible scenarios that may have occurred. The story is in a constant state of flux. All of the guests at the play will interact with the actors. The actors and the audience will not be distinguished from one another so that there will be no boundary between the audience and the performer. The play will include a musical set by The Howard Fishman Quartet along with special guest musical appearances. This project will require at least $10,000. I set the donation levels at the prices that you would normally pay for a book or play ticket. The money will go towards the following. The play will feature a full and functioning speakeasy bar, the band mentioned above, and the immersive theater presentation. I have been making books, music compilations, 3-D sets, art installations, and interactive performances for years. This is the first time I’m going to combine all of these into one elaborate project. Due to the prohibitive cost of this venture, I will not be able to invite any of my friends or family members to the party unless they donate to this Kickstarter - even you Mom! If you wish to support this project, but are unable to make it to New York City to see the play, you may give your ticket(s) to a friend(s) who lives in the area. Thank you to the talented musicians Howard Fishman, Amanda Palmer, and Kim Boekbinder for use of their songs in my Kickstarter video. They were generous to donate prohibition-era song downloads to those who give to my Kickstarter at all levels above $20. Seth Kushner and I collaborated on an online bio-comic about my art career and this project for his wonderful CulturePOP series on the ACT-I-VATE comics site. It is titled Royal Blood. I wrote the words and Seth took the photographs. Gothamist interviewed me about the project. Take a look. Information on mafia connections are revealed. Oddities, a Discovery Channel show interviewed Cynthia about Speakeasy Dollhouse. They will also be shooting behind the scenes footage at the play. Speakeasy Dollhouse - Be A Part Of The Documentary! We are going to screen a documentary narrated by legendary filmmaker John Waters, "Of Dolls & Murder"before the play on October 24th. This film has not yet been released and attendees of the Speakeasy Dollhouse play will see it first at no extra charge. We are excited to announce that the "Of Dolls & Murder" director, Susan Marks, has created a Kickstarter to fund her sequel documentary on Speakeasy Dollhouseand Cynthia von Buhler. Her Kickstarter will go up as soon as Cynthia's Kickstarter ends. Filming for the documentary will take place at the Oct 24th performance. Famiglia. One ticket and book. If you are a relative of a Speakeasy Dollhouse actor (or of Cynthia) you may receive tickets/books for your family members at a reduced rate. Please indicate your family tie when I send out the date request on Oct 1. I'm sorry, but friends are still required to pay the normal price. If you need VIP seating because of a handicap, please let me know.